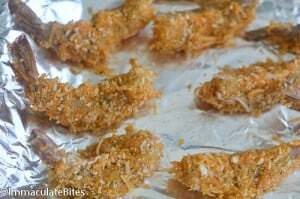 Crispy Coconut Shrimp – fresh shrimp dipped in coconut batter, then rolled in an aromatic combination of coconut flakes, breadcrumbs and spices. So Decadent, So Exotic, So Tasty!! Can be baked or fried! Want something that would get your taste buds excited. Sure you do. Is it possible for you to make it without resorting to deep frying? Yes, you can. 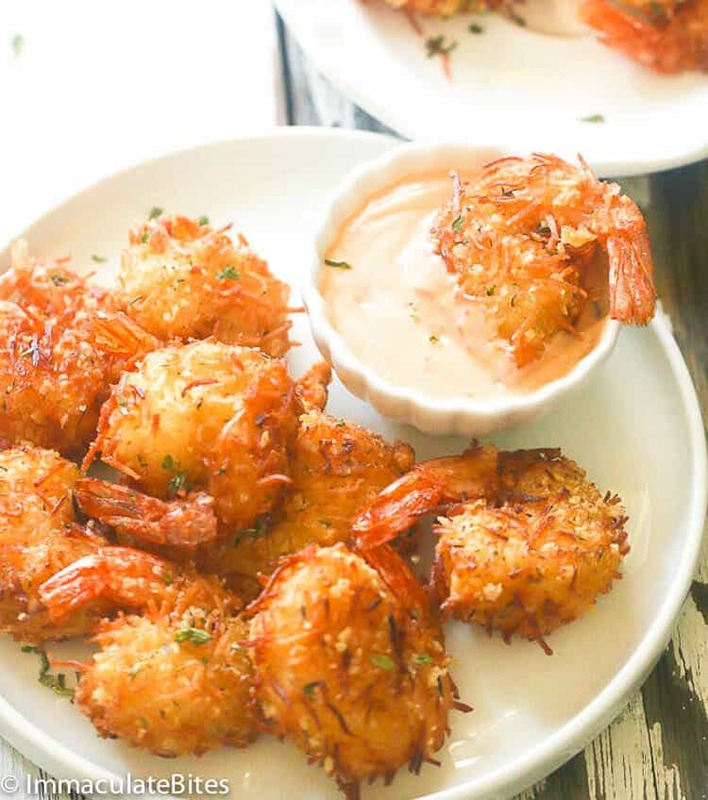 Transport yourself to the Caribbean with this coconut shrimp. It requires very little time and is always a crowd-pleaser. It would satisfy your craving for something light and sultry. This is one those recipes that you can easily whip up especially when you forgot to thaw your frozen protein or simply because you’ve done so much for day. 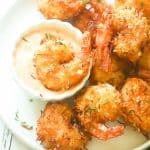 In this recipe, I used coconut flakes, garlic powder, dried thyme, paprika, and bread crumbs to coat these juicy fresh shrimps that hubby got from the market. And that’s not it! 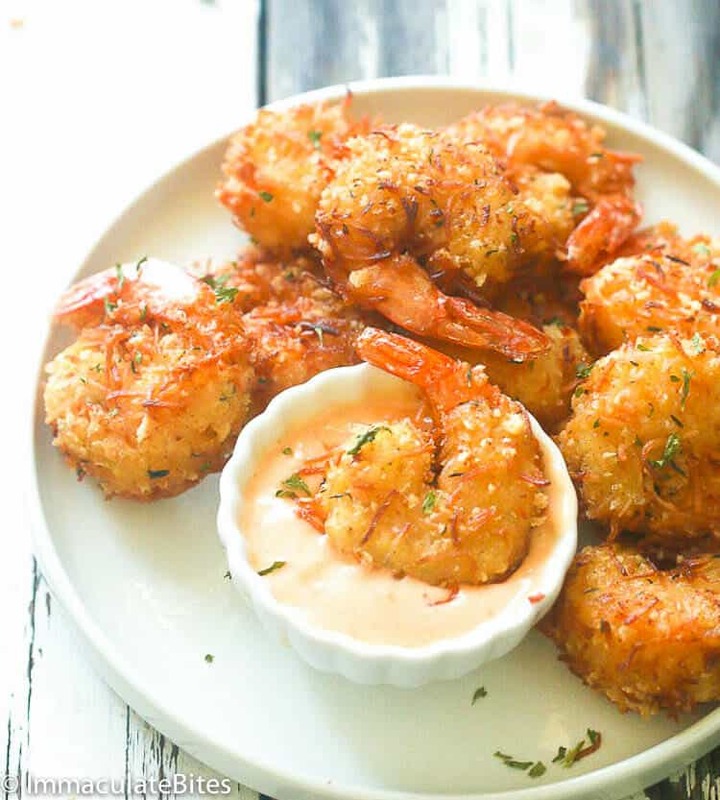 These shrimps are super crispy on the outside, sweet and tender shrimp on the inside. You can even bread the shrimp ahead of time and let them rest in refrigerator until ready to bake. Talk about easy dinner! After baking or frying you are left with a crispy coconut exterior and succulent tender shrimp inside. If you simply can’t deal with hot oil and the unwanted calories , then go the baking route. I guarantee you that it is equally delicious as the fried ones. 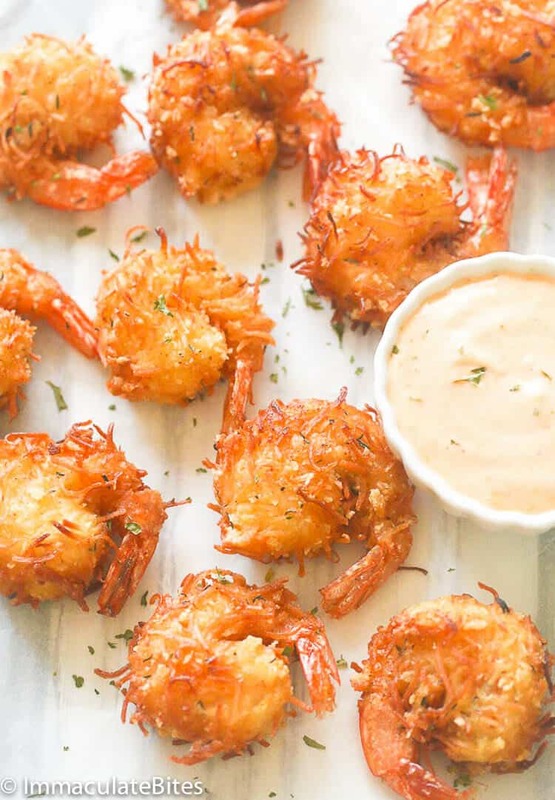 And what’s a good coconut shrimp without some dipping sauce? 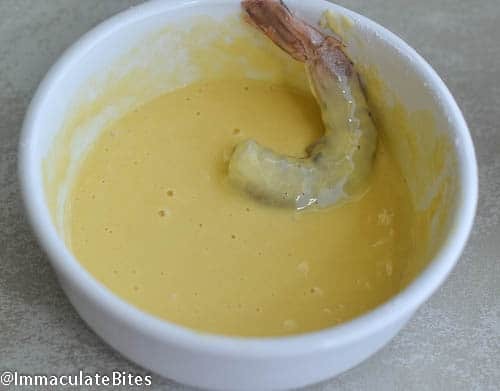 To complement the shrimp, I like serving them with a sweet creamy dip like pineapple marmalade, Dijon mustard and mayonnaise combination. 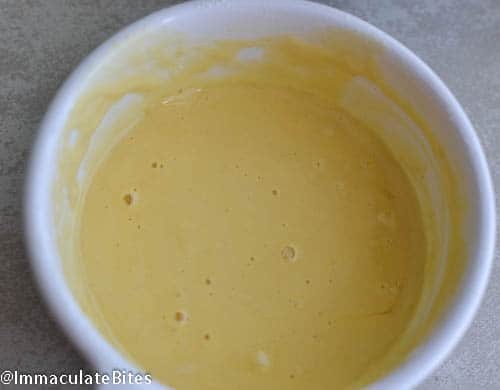 Or if you want more heat in your mouth, go pair it with sweet chili sauce or sriracha aioli dip. How about this Caribbean pepper sauce HERE ? You get to decide. You can replace coconut milk with water, beer or milk. You may use Panko instead of regular breadcrumbs. 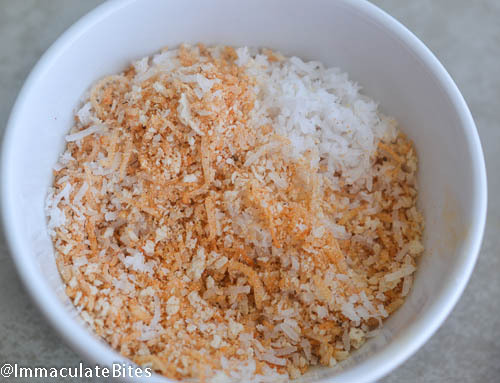 If you want more sweetness into this dish, substitute coconut flakes with sweetened shredded coconut. If frying , place shrimp in hot oil about 375°F fry directly until shrimp is crisp and heated through, about 3-5 minutes. See make-ahead notes in the recipe box. 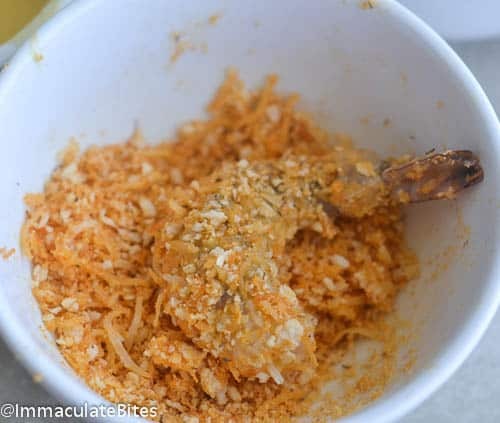 Crispy Coconut Shrimp - fresh shrimp dipped in coconut batter, then rolled in an aromatic combination of coconut flakes, breadcrumbs and spices. So Decadent, So Exotic, So Tasty!! Can be baked or fried! Prepare the dip by combining ingredients together and refrigerate. Marmalade Dip: In a medium bowl, combine the marmalade, mayonnaise and Dijon mustard. Cover and refrigerate for at least several hours to allow flavors to blend. Do the same if making the sirracha sauce. Preheat oven to 450°F. Align cookie sheet with parchment or foil paper, coat with cooking spray. Peel and devein shrimp leaving the tails on. Butterfly the shrimp: cutting halfway through the back, stopping at the tail, so they will be able to stand tail up. Whisk the egg, coconut milk, milk or beer, and flour in a medium mixing bowl until a smooth batter is formed. 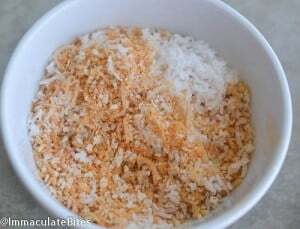 In another bowl, mix bread crumbs, coconut flakes, and spices. Hold shrimp by tail, dip each shrimp first in batter, and then roll in seasoned coconut mixture. Place on baking sheet tail up. Bake the shrimp until cooked through and the coating is starting to brown, 10 to 12 minutes. Serve the shrimp with dip. If frying shrimp, heat oil to 375°. 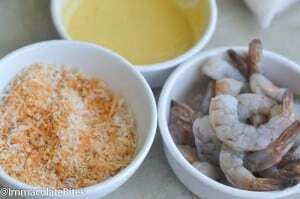 Fry shrimp a few pieces at a time, for 2-3 minutes on each side or until no longer pink and golden brown. Drain on paper towels. 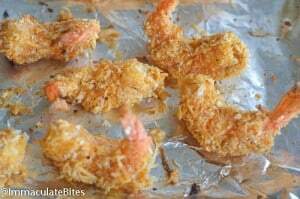 When you finish breading the shrimp you can place in the fridge, and let it stay there til you are ready to fry about 4-6 hours. 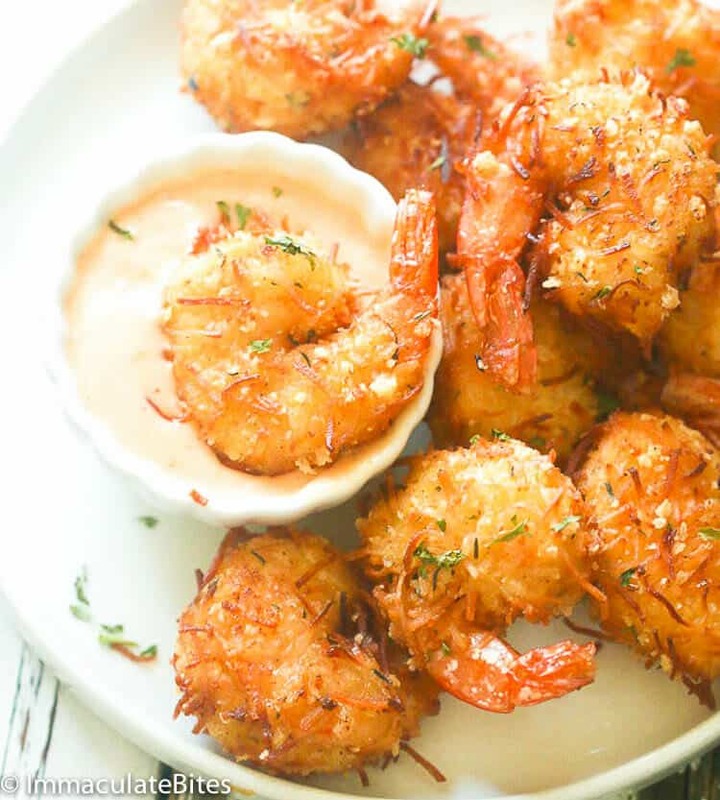 Remove shrimp from the fryer and bring to room temperature. Place shrimp making cookie sheet or large plate, make sure they are not touching each other. Place in the freezer until it freezes. Now transfer to an airtight plastic bag or a zip-lock bag and store for up to two (2) months. 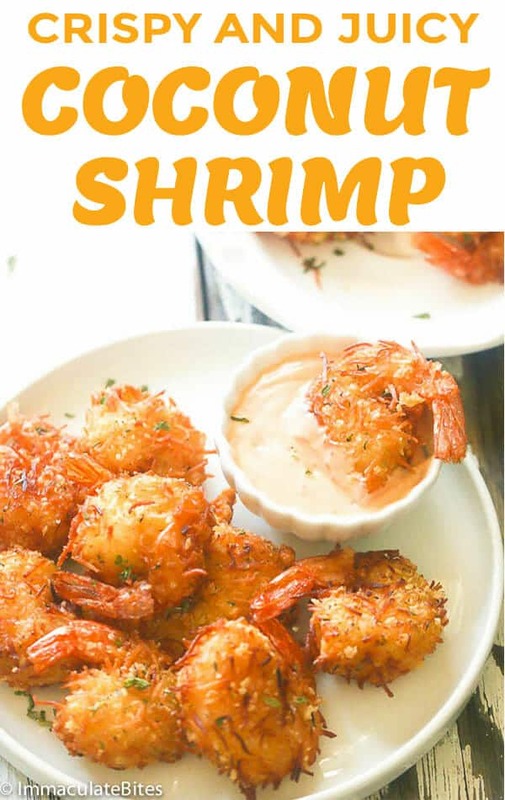 When ready to eat or serve, pre-heat oven to 400°F, line a cookie sheet or baking pan with parchment or foil paper cook /bake for about 18- 20 minutes flipping once halfway through baking, until shrimp is crisp and is heated through. If frying, place shrimp in hot oil about 375°F fry directly until shrimp is crisp and heated through, about 3-5 minutes. Yes the will do just fine. Hi. Are you sure it’s a 1/2 cup of flour with just a 1/4 coconut milk & 1 egg? Batter is much too thick. Not like video. I had to add another cup of coco milk to get Same consistency. With adjustment, They were excellent! This sounded really good and I saved the page until I was ready to try it. Unfortunately the batter was very, very thick using coconut milk so I added beer to thin it out. The coating, while tasty when dry, did not adhere well to the shrimp. I baked them & then broiled to give them a little color. They didn’t taste as good as the recipe sounded. Maybe if I added some more dry ingredients to help the coating bind to the shrimp and fried them, they’d be better. Disappointing as they really sounded good. 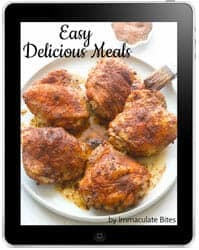 I’ll keep trying your recipes as most of them are very yummy. Sorry to hear it didn’t turn out well for you. I’ve been using the same recipe tho for countless times (and others, too) and it turns out as described above. Did you by any chance substituted coconut milk with coconut cream instead? They look almost the same, but Coconut cream have thicker consistency than the milk one and they’re often used interchangeably. Check out the make ahead notes. Just did an update . Do let me know how it works out for you. Thanks ! We just made these this afternoon! We baked them and they were very good! Thank you! My Pleasure! Glad it worked out well for you. This recipe is going into my repertoire, baking makes it even more kitchen-friendly. I love fried things (who doesn’t?) but they make such a mess. Btw Imma, I have yet to try homemade cube, but I managed to find something interesting: Liebig meat extract, the illegitimate grandfather of all cubes in the world! It’s 100% condensed beef, it makes a good beef broth and can be used as is as a flavor enhancer, just like a cube. The only downside is its price (a little jar is around 5 euros), fortunately a little goes a long way. Julius Maggi then invented an inexpensive version of it known as Maggi and the rest is history. I have been ill for 2 weeks unable to eat many solid food because of lymphonode swelling, I thank Liebig extract otherwise I would have been restricted to milk and knorr instant broth or soup D: . Proof that is pure beef is that my cats swarmed me when I opened the jar. I would be interested in making “soy sauce” with it but I don’t want to waste any in experiments, it is precious $$$. Bye, I shall also try the “fried” cabbage recipe because cabbage is fantastic (I love krauts). The directions say to add beer, but it’s not in the ingredients? You can either use beer, coconut milk or milk. It all works. Just updated to make it clearer. Looks delicious!! How much ginger did you use? My bad! No ginger used in the sauce. Just the 3 ingredients. This look delicious cant wait to try it! ive been looking at your blog for over an hour now and i’m impressed and very proud of your work. keep it up.